Australian motorcycle racing legends Steve Martin and Craig Coxhell have just been announced as star rider coaches for the Aprilia Racer Days event at Phillip Island circuit on Monday April 8. These highly experienced racers will be on hand to pass on some skills and tips to those in attendance with special attention given to riders who are new to track riding or about to take their first forays into riding on a closed circuit. "There's simply no better place to hone your skills than beautiful Phillip Island. The flowing layout of the circuit is sensational, and the facilities are world class which make for a great experience for spectators and riders alike." Said ex-WorldSBK rider and World Endurance Champion Steve Martin. Ex-ASBK Champion and Factory rider Craig Coxhell echoed the sentiments. "I'm really looking forward to the event and am chomping at the bit to get out there. I haven't been back to Philip Island since I retired from racing back in 2011 so it's going to be an exciting day to be shared with everyone involved and I hope to share as much knowledge as I can about the track as I have lost count on how many laps I have raced around there!" Bookings for the day cost $225 for a full day of riding on track with a powered garage spot and will include free professional images as well as dedicated coaching workshops for novice riders in attendance. There will also be a showroom and merchandise area set up in the pits where spectators and riders can see the 2019 RSV41100 Factory with its MotoGP derived winglets and the new Tuono Factory model with semi-active Ohlins suspension. 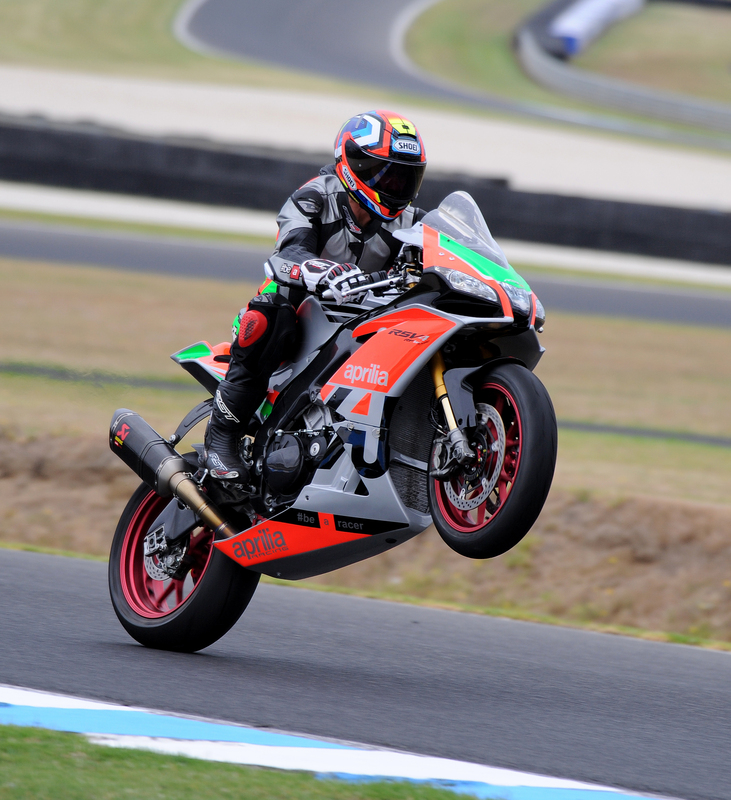 PS Importers Marketing Manager Paul McCann is confident that this event will encourage Aprilia owners to test their motorcycles in the safety of a purpose-built facility with Aprilia Australia's full support. "We're really excited to be able to offer the first Aprilia exclusive event to owners at this prestigious circuit. Not only will riders get the opportunity to enjoy their motorcycles on one of the most exhilarating race tracks in the world with a range of added exclusives, they can also benefit from the guidance of seasoned racers like Steve and Craig who have a genuine passion for the brand and for helping people to become faster and safer riders". For more information on the Aprilia Racer Day event, or to make a booking, visit the Aprilia Australia Facebook page and head to the events section. All skill levels will be catered for but places at this exclusive event are strictly limited so book in fast to secure your spot. 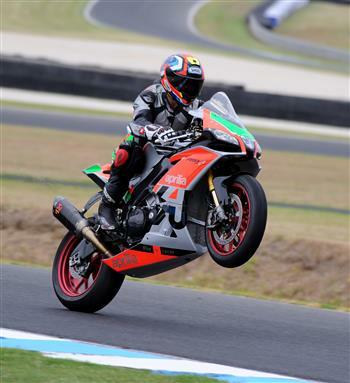 Ex-World SBK rider and World Endurance Champion Steve Martin has just been announced as star rider coach for the Aprilia Racer Days event at Phillip Island circuit on Monday April 8.